Bruce Lee – enter the game is a title developed back in 2014 by a Canadian game studio called Hibernum that was released for the mobile market and which suddenly became one of the most popular action packed side-scrolling beat’em ups. 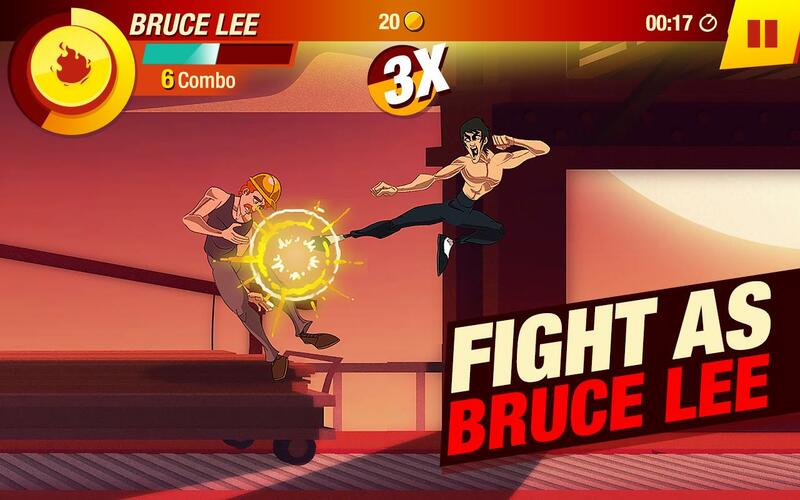 Three years later and the game still leads in the top of best fighting games for Android and Ios , so let’s take a closer look inside our review and find out what makes Bruce Lee – enter the game so great. The first impression is obviously about the game’s art and believe me, the graphics are truly impressive. 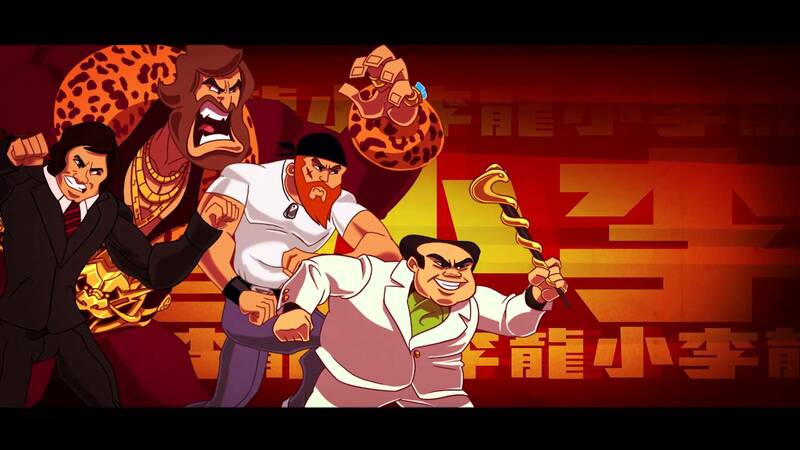 The team that was involved into actually drawing all the characters and scenes successfully managed to find the perfect balance when it comes to using the right tone to best represent the great martial arts master Bruce Lee as character inside a video game. Third in place, is the game’s structure that makes you think you are actually watching a movie that is divided into chapters where each level inside represents a new cinematic scene with it’s own mission to be accomplished such as: beat up the hencemen, protect your master, defeat the boss etc. At startup you are prompted by a short tutorial that will help you uncover the basic moves and combos of virtual Jet Kune Do and that will also give you the opportunity to get used to the controls and learn how to master it. 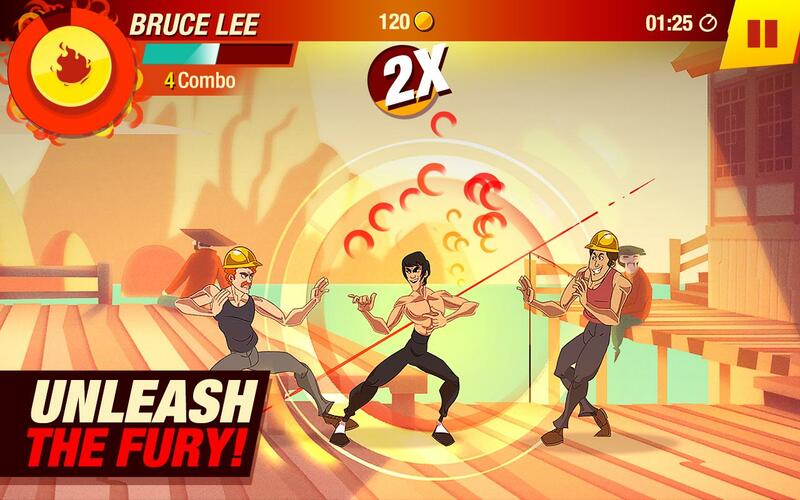 The plot is all about helping Bruce Lee survive waves of incoming attackers, earning coins that can be spend on upgrades, fight bosses and accomplish all sort of different task as you make your way up to the final stage. There are 40 levels in total that one needs to complete, but just as you start to advance you really feel the need of those upgrades in order to stand a chance against the more increasing in difficulty enemies. Having enough coins raised will give you the option to buy a nunchacku, boxing gloves, furry boost or increase your overall strength. You can also spend to money to buy different outfits for Bruce, just like the ones you were used to see him wearing in his movies. For those that have a hard life earning enough coins inside the game there is also the option to buy the upgrades by spending real money. One other important fact that needs to be mentioned here is that compared to other Bruce Lee games available to played either online or that can be downloaded onto mobile devices or computers and such, this particular title was granted permission by the Bruce Lee family to use the master’s name as well as all the other aspects such as the character’s look, the sounds and shouts that are personally tied to him and so on. In the end I just want to say that Bruce Lee was actually one of the super heroes that existed in the real life and the current game that we reviewed really adds to his memory just like any of the master piece movies he used to play in.